What Would Happen to You if You Were Exposed to Space? 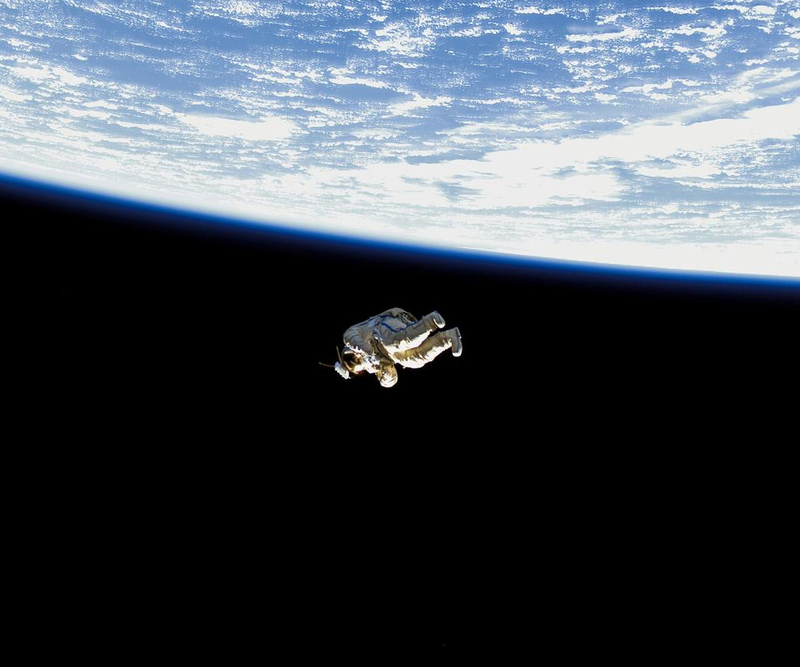 An empty Russian Orlan space suit released on Feb. 3, 2006 as part of the SuitSat experiment. We’ve all seen it in some form or another in science fiction movies: a character suddenly finds themself exposed, sans protective suit, to the vacuum of space. Maybe it was a crack in their suit or helmet, or they were caught in an open airlock, or they were sucked out of a hole in a spacecraft hull—possibly by their own fault or through the accidental or malicious actions of another. (If there’s one thing science fiction has taught us is that space is full of enemies.) From that point on, what happens to them seems to be up to the imagination of the director. Does their head swell and explode? Do they instantly freeze solid? Does the unfiltered UV light from the Sun fry them alive? Or do they just run out of oxygen and black out? So what would happen if you were suddenly exposed to space? You probably wouldn’t be aware of much for very long, actually. After about 12-15 seconds the lack of oxygen to your brain, caused mostly by expanding bubbles of gas in your bloodstream, would cause you to pass out. You would probably still remain alive for a couple of minutes afterwards—enough for anyone nearby to hopefully grab you and return you to safety. But it sure wouldn’t be pretty. Experiments on dogs (yes, I know, ugh) in the 1960s revealed some nasty effects of sudden depressurization, which although didn’t always result in death would be unpleasant to experience, to say the least. Other experiments on chimpanzees had them faring a bit better, staying conscious for over three minutes. But post-decompression tests revealed a permanent loss of some cognition skills as well as heart problems, so there’s always that you’d have to worry about later. One thing you will need to remember—somehow during the panic of finding yourself floating unprotected in space—is not to hold your breath, despite how counterintuitive that may seem. If you do, the pressure inside your lungs would cause them to expand and rupture because there’s no pressure outside them, which of course would be super bad. Just let the air leave your lungs and there’ll at least be something left to reinflate if you do get rescued in time. If you don’t, well…you’ll only have to think about it for 15 seconds anyway. So the main takeaways here are first, don’t ever wind up in that situation when you’re out exploring the Universe; second, if you do, don’t try to hold your breath in; and third, always be sure to explore with a buddy…preferably one you can trust. Read more about this on CNET here. Jennifer Lawrence would save me.